I picked up Amanda Hesser’s book Cooking for Mr. Latte after the holidays at the Harvard Book Store. I honestly had no idea who she was. In reality I thought that it was a new book since it was marked as a staff pick. Later in the evening Google revealed the truth to me. It seems Hesser writes for The New York Times and that her book actually came out in 2004. Apparently, she’s a fairly famous foodie in her own right, albeit at times a controversial one. In the end I really enjoyed my selection. The short story format was fast paced and I loved how each chapter ended with an array of delicious recipes to try at home. I found myself dogearing page after page while reading on the T, which is a total sin and completely against my usual book etiquette but I didn’t want to forget to try anything. Those folded tabs have since been replaced by colorful mini post-its so you can all relax now. 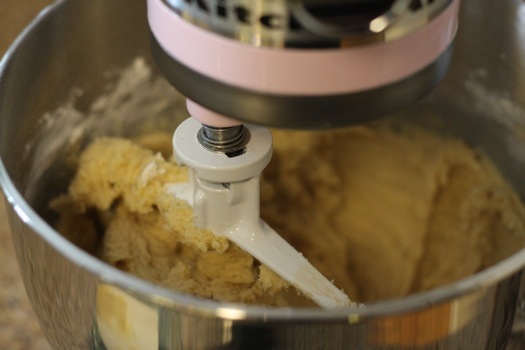 In a mixer cream the butter and sugars until fluffy. Add the vanilla and eggs and beat until smooth. In a small bowl combine the flour, baking soda, and salt. Slowly add the dry ingredients to the mixer, beating on low until blended. Pour in the chocolate, pecans, and coconut. Fold them in by hand with a spatula. Chill the dough for 30 minutes. Using an ice cream scoop, drop the dough onto a well greased baking sheet. Bake for 12-15 minutes until lightly browned on the edges and cooked in the center. Cool on a rack. 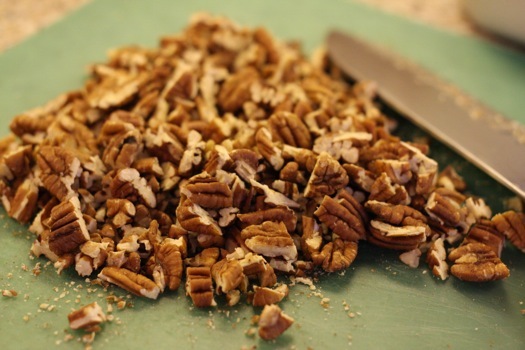 ooooh, coconut sounds like such a good compliment to the chocolate and pecans! these remind me of the oatmeal cookie i’ve made a few times with pecans, chocolate, and heath toffee. yum yum. mmm yummy! speaking of nutella, i’ve been meaning to make these nutella calzones i saw on giada once. i remmeber reading of amanda in julie and julia (did you know this is going to be a movie?) and am curious about all the controvery that surrounds her! 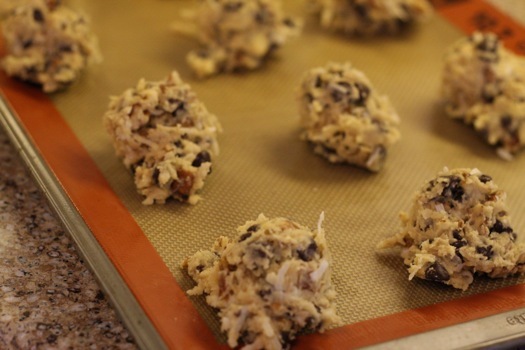 Yummm, I need to make these . . to make up for my bad cookie baking experience last weekend. those look A MAZ ING! These sound so good! I just happen to have the day off tomorrow! Guess who is making cookies! Hmmm…these might be the answer to my question, “What should I take to my friend’s Super Bowl party? 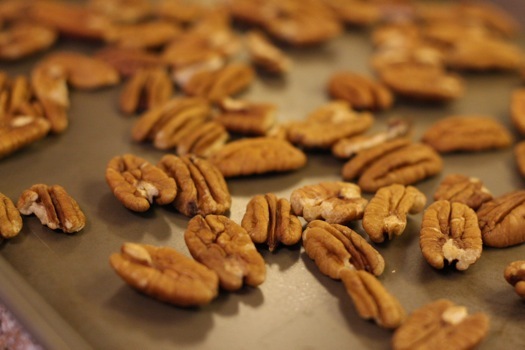 ?” Love that the pecans are toasted first. YUM! I love cookies that are packed full of stuff, these sound great to me! Now that is my kind of cookie!! These look awesome. I love coconut and I love chocolate chip cookies. Sounds like a marriage made in heaven! Those cookies look so good. 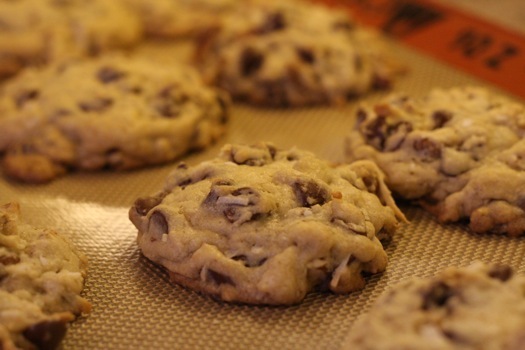 I like the addition of the coconut and pecans to a chocolate chip cookie. I keep coming back to these. I need to make them this weekend. Did you make this recipe just for me because you know I would love it? Wow! These have got to be delicious! I looove Cooking For Mr. Latte–such a fun read. These cookies look phenomenal. They make me drool. Absolutely wonderful. Just what I need. Yum those look good. I wish I could have one right now! 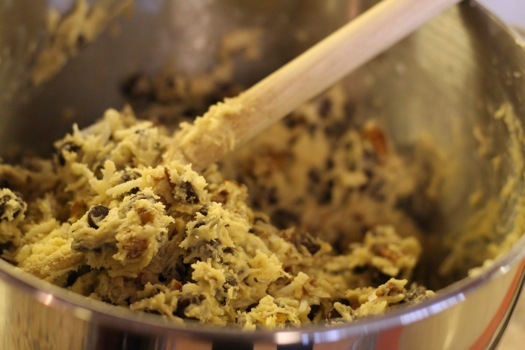 I love stuffing lots of things into cookies. These cookies are amazing! Thanks for making another batch for us Compete folks. We were spoiled with your cooking skills and Chris’s generosity handing out the goodies, both will be missed. I just had one of these cookies – absolutely mood altering! What a great combination of flavors – they are the best. LOVED these – so good! I have ate 3 in the last 20 minutes! !